We deal in Cumin Seeds that are an essential flavoring agent in the food. We practice organic farming to come up with high-quality Cumin Seeds. Our Cumin Seeds are rich in vitamins and calcium. They are further tested for the presence of foreign matter. 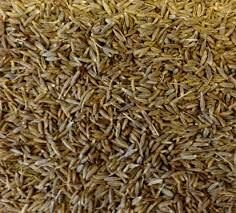 Buyers can place bulk as well as retail orders to purchase Cumin Seeds from us. We ensure timely delivery of our consignments.